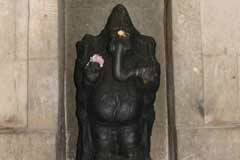 The temple is praised in the hymns of saint Tirugnanasambandar with a poetic beauty describing the environment of the place filled with plays of elephants and peacocks in pairs, where Lord acknowledges his song as His own. 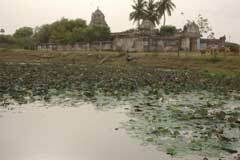 It is in this place of all beauty, named Ilambayankattoor, Lord Shiva has chosen His Abode. 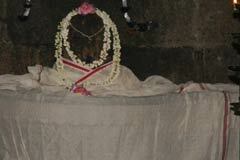 This is 13th shrine in Thondaimandalam region praised Thevaram hymns. Guru (Jupiter) transit days, Maha Shivrathri in February-March, Arudra Darshan in December-January and Tirukarthikai in November-December are the festivals celebrated in the temple. Lord Shiva appears so soft here as the petals of Kondrai flower. 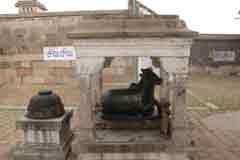 Cow Puja (Gopuja) is performed daily in the temple. From April 2 to 7 and from 5 to 11 in September, Sun God worships the Lord with his rays. Temple is open from 6.00 a.m. to 8.00 a.m. Visitors are advised to get in touch with the priest in advance to ensure darshan. 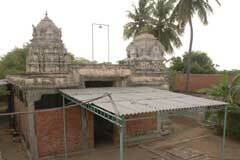 Sri Deivanayaka Easwarar Temple, Tiru Ilambayankattoor, Kancheepuram district. 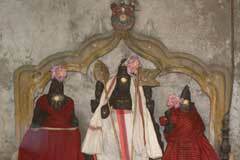 Those affected by adverse aspects of Jupiter planet, worship Yoga Dakshinamurthy with abishek and archanas. 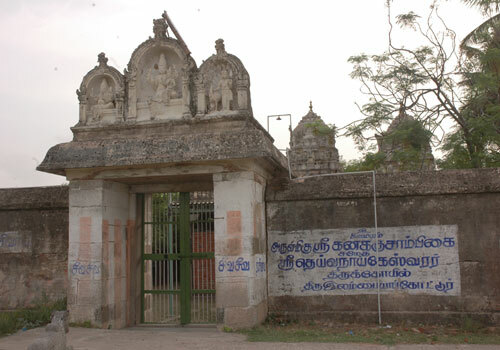 Saint Tirugnanasambandar was returning through this way after visiting Shiva temples. Lord Shiva in the guise of an old man asked the saint to sing the praise of Lord who was in that place, but the saint could not see and returned. Lord again intercepted the saint in the form a cow, showed the place and insisted His demand. Saint was too happy and sang in praise of the Lord. 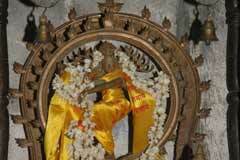 Arambas-virgins of the celestial world, prayed to Lord to help them keep their alluring beauty perennially. Lord appeared before them as Yoga Dakshinamurthy and granted their boon. 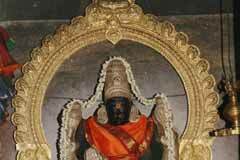 Prayer to Lord Yoga Dakshinamurthy will grace the devotee an enticing personality, it is believed. Lord Shiva, worshipped by the virgins is gracing us near the entrance of the temple facing west ensuring all the 16 benefits as education, prosperity, courage, success etc. – 16 Peru in Tamil. 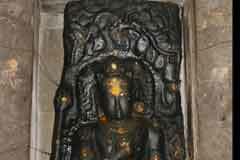 Tiru Ilambayankattor is 25 km far from Kancheepuram and 60 km from Chennai. Buses are available from Poonamallee in Chennai to Perambakkam. Autos can be hired from this place to reach the temple.